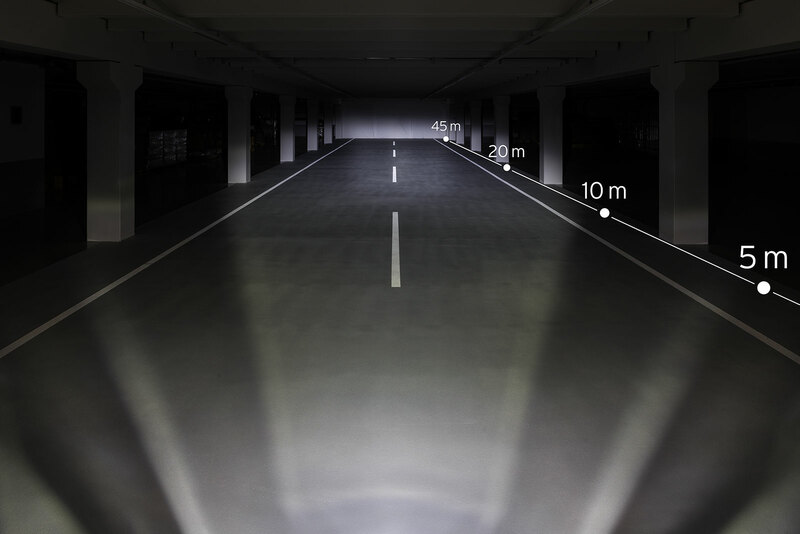 With a new light and reflector design, Busch & Müller raises the bar for dynamo powered LED headlights: 70 Lux, light field twice as wide as previous LED headlights, lights an area that is several times larger, maximally homogenous. Dynamo-powered light enters a new dimension – so wide, so far, so pristinely bright. LICHT24. Day Ride light Signalling LEDs shining brightly forward. A sensor automatic switches automatically between day and night mode. Standlight Automatic. Special LEDs are directed so they are perceived by other traffic participants. Can be switched off with the handlebar push button.